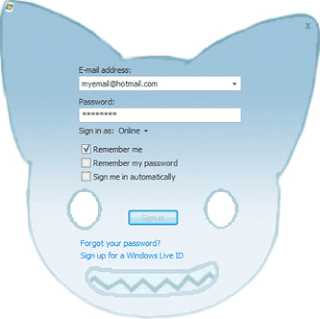 "The days of MSN Messenger painted a vibrant community of designers who were keen to hack into the program's resources and create some polished, unique and excellent skins. When I joined the community back in February 2005 there was an vast array of high quality and imaginative skin designs to choose from, but today with Windows Live Messenger 2009, the community seems to have become stagnant. Wait a minute, but surely skinning now has more depth and a smaller learning curve thanks to Messenger Plus! Live? While this is true the issue today is the end a thriving community to extrapolate anything from the available modern resources..."
Continue reading : Is Messenger skinning in decline?